How Can I Avoid Buying Fake Products On Taobao? The ecommerce site Taobao offers a wide variety of different items for shoppers to purchase. While they try hard to only offer legitimate, authentic items and do away with any fake ones, it is important to know some helpful tools to ensure you are not purchasing a fake. Feedback serves to aid future buyers in determining if a seller is trustworthy or not. It serves as a great barometer to go by when choosing an item from a seller. A good rule of thumb is to stay with sellers who have a 100% feedback rating on over 500 different transactions. Most buyers think if a product is going to be a fake, it will probably fall into the category of big-ticket name-brand items. However, many fake producing sellers are targeting second and third rate brands in the market. 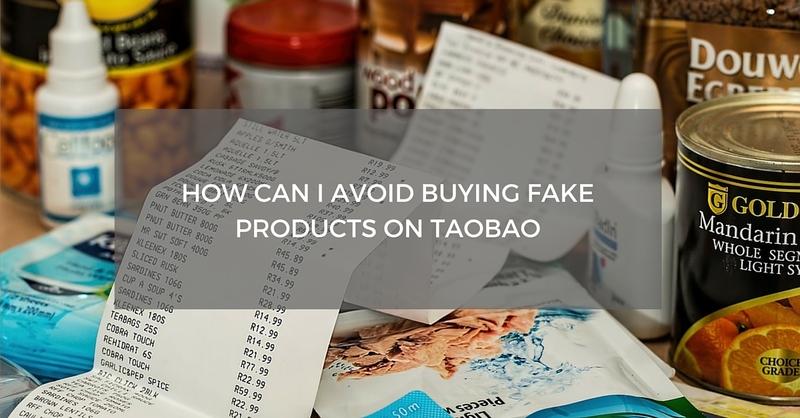 Even so,It’s best to go after not-so-famous brands and stay away from top brands on Taobao to ensure you are purchasing an authentic item. It’s more h2kely a product is authentic if the photo isn’t perfect.If the pictures are too perfect, it may be a warning that the item is too good to be true,because these were probably just downloaded from brand’s main website. If you are in doubt, you can request a newer or more reah2stic picture from the seller. Take the photo the seller is offering and compare it to the one on the official website for that product. Look closely at the details to try and determine if the product is authentic. 5. What else do they sell? If a seller advertises that they sell authentic items and also “h2ke-real” items, You’d better steer clear of them. It is important to check their other items to determine if they feel h2ke the real deal. Use your own good, sound judgment before diving prematurely into a purchase to determine if a seller is actually offering goods worth your hard earned money.